If you have suffered an injury or a loved one has died as the result of over or under infusion of fluids while an Alaris Medley infusion pump was being used, you may have a case against Elite Biomedical Solutions and Alaris Medical Systems. If you are considering filing a lawsuit, contact us today for a free no obligation case evaluation. 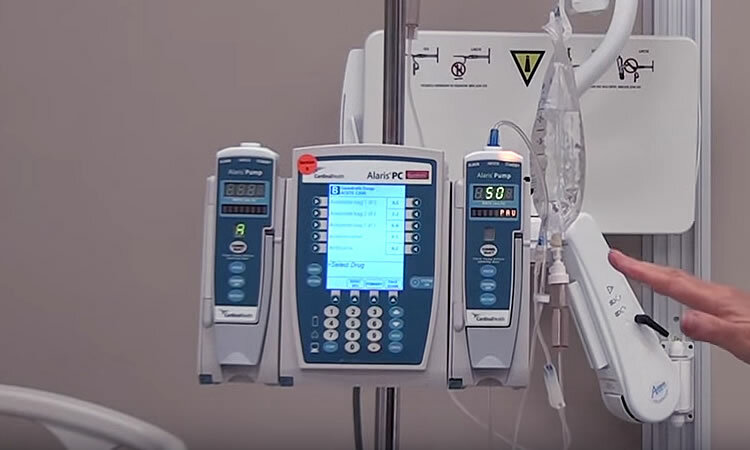 Infusion pumps are machines designed to continuously or intermittently administer fluids, medication, or blood and blood products to patients in ways that might be impractical or too expensive if performed by nursing staff. For example, infusion pumps can automatically administer very tiny amounts at regular intervals, or can continuously deliver fluids such as nutrients, into the patient’s body in controlled amounts. Because they also have the capability of injecting controlled amounts of fluid beneath the skin (subcutaneously) as well as within the surface of the central nervous system (epidurally), they have become popular for use in administering local spinal anesthesia in childbirth. These pumps are now in widespread use both in medical settings and in homes. While these pumps have made the infusion process easier and more convenient, and have been a major factor in the growth of home infusion in particular, they have long been known to be a source of adverse patient events. For this reason, the FDA monitors reports of such events and keeps track of problems with medical devices like these in order to alert both health professionals as well as the public when it comes to safety concerns of patients. In June of 2015, the FDA ordered a Class I recall of one such device. A Class I recall is the most serious type of recall as there is reasonable probability that the use of or exposure to a product will result in a very serious adverse health outcome, including death. In other words, Class I recalls carry the most serious consequences (serious injury and even death). Hospitals were also asked to complete and return a form that had been enclosed with the notice and to contact Elite Biomedical Solutions. Finally, both healthcare professionals and patients were encouraged to report any adverse events or side effects resulting from use of this product. Infusion pump safety concerns are not a new problem. Between 2005 and 2009 alone there were over 56,000 adverse events due to such infusion pump issues. During that same time period, 87 infusion pumps recalls were conducted by firms to address identified safety problems. At that time, 70 of the recalls were designated Class II, which means the device may be the cause of a temporary or medically reversible adverse health outcome, but 14 were Class I. It was for that reason the FDA initiated the Infusion Pump Improvement Initiative in 2010. While the initiative proposed stricter regulations of these devices, it cited such issues as software defects, user interface problems, and mechanical or electrical failure as the chief causes of serious or potentially adverse events. Clearly, these problems still exist and manufacturers of these devices need to be held accountable for compromising patient safety. If you or a loved one was harmed as a result of the Alaris infusion pump delivering an over or under infusion of fluids, contact us today so we can review your information and connect you with the right attorney. There is no fee for this and if your case is accepted, you pay no attorneys fees at all unless they win your case.